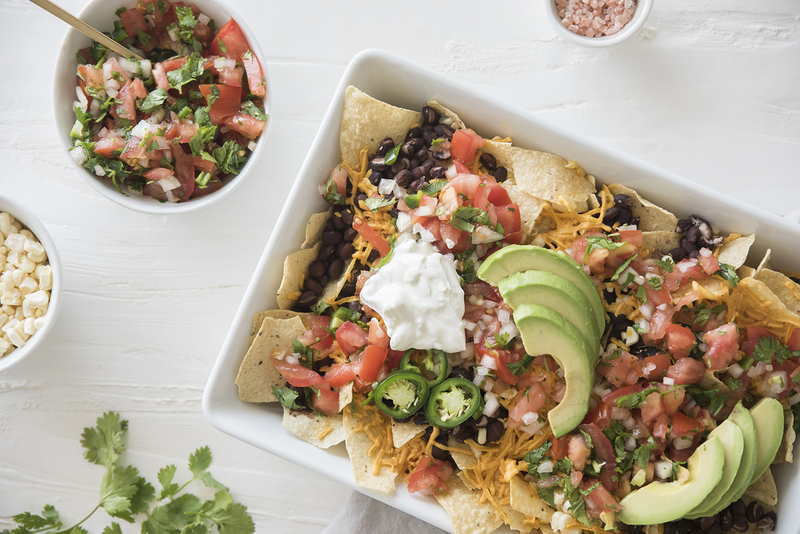 Nachos are a staple, whether you’re entertaining or prepping a quick dish for your family. 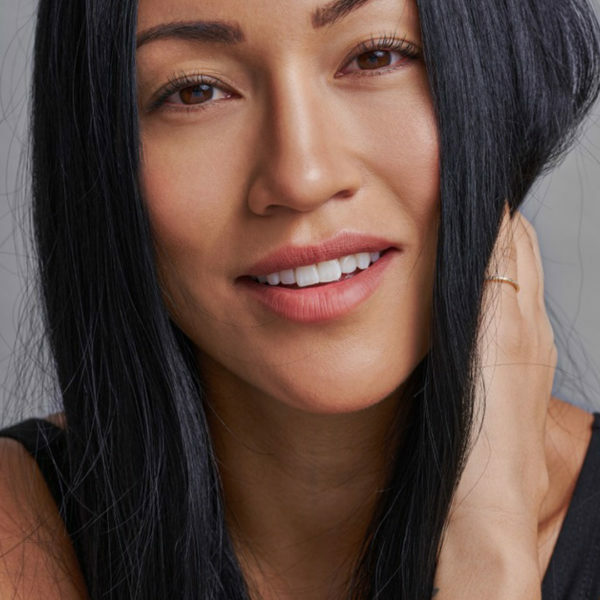 Today we’re sharing the gluten-free and dairy-free recipe Kourt uses. If you’re having friends over, we recommend serving the sour cream and peppers on the side. Scroll down for the flavorful recipe. 1. Preheat over to 400°F. 2. 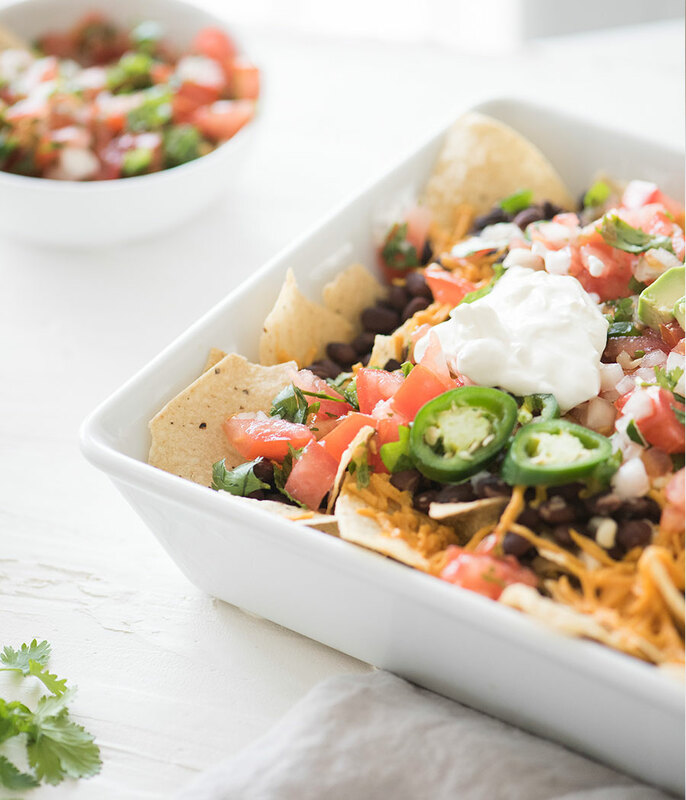 Place gluten-free corn tortilla chips in large casserole dish and add spoonfuls of black beans and fresh corn on top. 3. Add another layer of chips, then one more round of black beans and corn. 4. Cover in shredded cheese (if you want to add jalapeños or green chilies, now would be the time). 5. Bake until heated and cheese is melted, about 5 minutes. 6. Using a spatula, transfer to large platter. 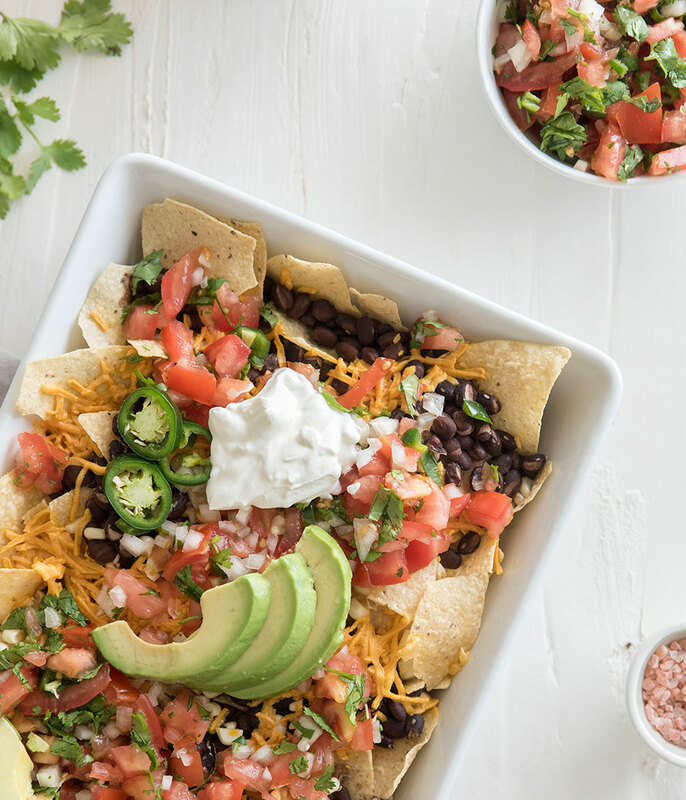 Serve with sides of sour cream (for those who aren’t dairy-free) and fresh pico de gallo.